The national hunt season really kicks off this weekend, as last season’s Cheltenham Gold Cup one and two renew their rivalry. The Betfair Chase is the first leg of the stayers’ triple crown, so could we yet see a horse land this incredible feat this season? If any horse can do it, it is likely to be Might Bite. He heads into Saturday’s race as the clear favourite, with many punters supporting the form line – details of which can be found on the Turfoo french website. It should prove to be an intriguing battle, not only between two of the best chasing horses on the circuit, but also between bookmakers and punters alike. The nine year old son of Scorpion had been a bit of an enigma for the early stages of his racing career, but really put his act together last season. 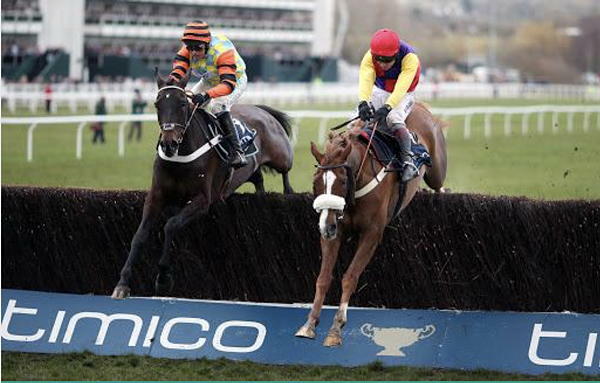 This culminated with a stunning seven length victory in the Bowl Chase at Aintree at the end of the last season. This was following on from his second in the Gold cup, which just shows the toughness of the horse. His conqueror that day was Native River, who is another horse to have flourished last season. Native River put in a faultless round of jumping at Cheltenham and stayed on tenaciously up the hill to win the converted prize. This was a fantastic performance, but there is little doubt the conditions played into his favour over Might Bite. This is why the Henderson horse now heads into this weekend as the strong favourite to turn the tables. This is also backed up due to the flat track at Haydock likely to be more suited to Might Bite, with his very high cruising speed. Reports from Seven Barrows are that Might Bite is in top form and Henderson has also been drawing comparisons to the great Sprinter Sacre. This shows the incredible esteem the horse is held in at home, so this sends an ominous message to the staying ranks this season. There is little doubt that if the ground stays on the quicker side then he is the horse to beat in all of the key races. However, the Tizzard’s have be echoing the same message prior to the race, so its sets up for a fascinating contest. Could Native River again prove himself a star and even possibly challenge for the stayers’ triple crown himself? Both horses are two of the biggest names in the sport with Native River sitting as the current highest rated in training following that Gold Cup triumph.